Mental health is a really tricky thing to talk about. It's a very vulnerable and emotional thing, and each person has his or her own story and journey through it. I am not a professional in any way; I am only speaking from my own experiences. I hope to in no way make light of anxiety or panic attacks. It can be a serious condition, and I will always recommend seeking help from a doctor if this is something you experience. This is kind of a heavy post & I don’t plan to make every post this heavy, it’s just been something that I’ve wanted to share with you for awhile. This is based my personal experience. Anxiety & panic attacks are common and everyone handles them in their own ways. Some things work for me but not for others. 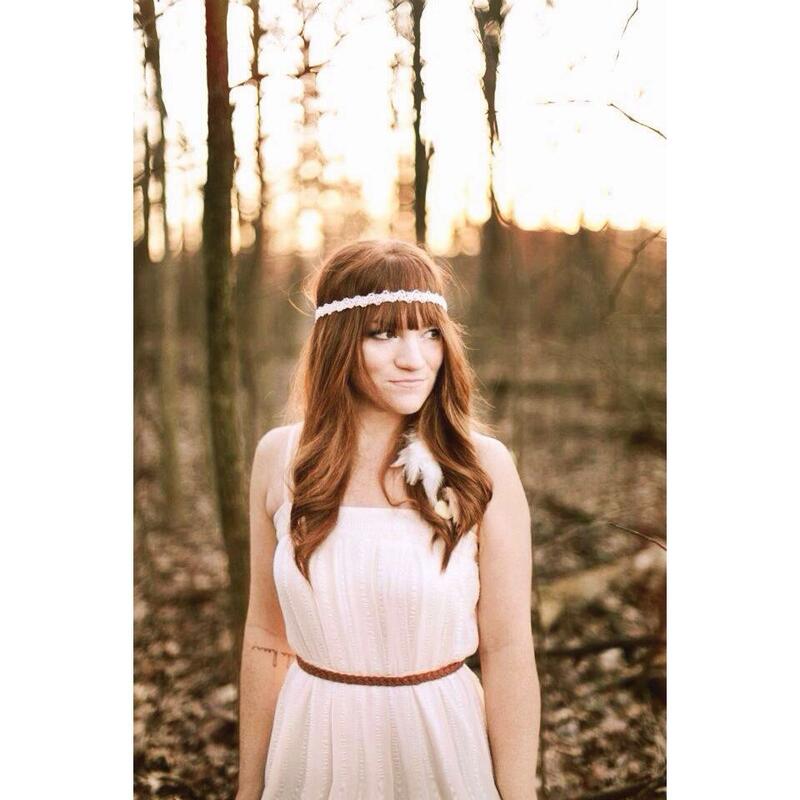 My hope is to shed some light on this super common and incredibly difficult experience. Panic attacks are very common. I realize i just said this, but I really can’t emphasize it enough. I think I had them occasionally when I was younger, but I didn’t realize what they were. As I’ve gotten them more recently and learned about them, I started talking to people about it (as an external processor, it’s how I cope). It amazed me how many people responded with, “Oh yeah, I get those too.” I had no idea. Now I’m not telling you to go shouting it from the rooftops or anything, but talking about it with people I trusted made me feel less alone and I learned so much about how people handle them. They can come at any place or time, no trigger necessary. Knowing the science behind what’s happening helps me to get through it. When I went to the doctor to talk about this (which I highly recommend if it’s something that happens to you often), he told me that panic attacks are when stress builds up for so long that it erupts like a volcano. This is your body responding to what feels like a threat to your life, which is why it’s so common to think you’re dying when you’re having a panic attack. Learning this information helped me to recognize what was happening, and tell myself that I’m going to be fine and it will pass soon. It is one of the scariest things I’ve experienced, and people that deal with them on the regular are total badasses. Like I mentioned, it’s very common to feel like you’re dying when you’re having a panic attack. I don’t know about you, but death kind of freaks me out and thinking that it’s happening is pretty terrifying. Some people get these on a regular basis (if that’s you and you haven’t sought help for it yet, please do that), and those people are basically escaping death all the time. Kinda like James Bond. If they happen to you, it’s okay. I’ll leave you with a few things that help me when I’m experiencing one. 1. Remember that what’s happening is very common. I read somewhere to think of a panic attack like a headache. It’s a very common, non-life threatening thing. It’s uncomfortable and annoying, but it’ll pass soon. 2. Remember that your body is trying to protect you. As I mentioned, it is going into fight or flight mode, and once it realizes you aren’t actually in danger, your body will return to business as usual. 3. 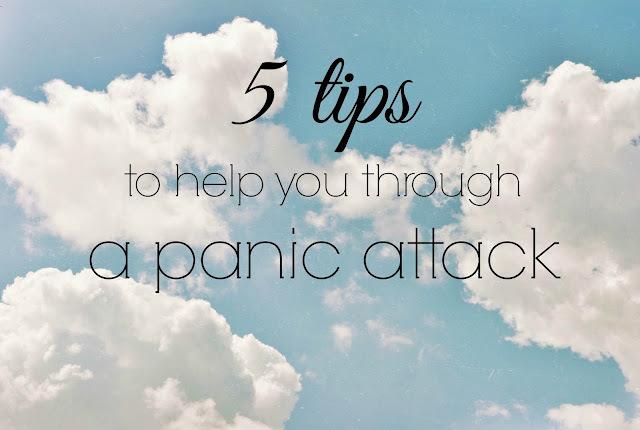 Accept that you’re having a panic attack, and just let it pass through you. It’s easy to want to dismiss it as nothing, or move around a lot to try to shake it off. In my experience, this only makes it worse. It’s better to just try your best to stay calm, and know that it will be over soon. 4. Practice yoga & learn about deep breathing. Breathing can do wonders for many physical ailments. Breathing in deeply automatically calms the body down. When I start to feel anxiety, I breathe in through my nose while counting to 5, and then I exhale out of my mouth, counting to 7. Repeating this and focusing on your breathing are also good ways to focus your mind on the present. If you’ve never experienced this, but have a loved one that does, just talk to them about it. They often know what they need, but aren’t always able to communicate it when the attack is happening. Typically just sitting with them, reminding them to breathe, and telling them that they’re going to be okay are some of the best things you can do. thank you for this--as a parent of someone who experiences this, I really appreciated your perspective and maybe she'll take your advice....:) this site is what I think is best about the internet so please keep writing and sharing! I've been using that same counting method for a while now and its been working really well for me. I've found that It is one of the best exercises for public attacks. Thank you so much for this post Ashley, very reassuring. I finally talked about my anxiety and panic attacks last year and got the help I needed - don't get me wrong it's still something I find myself fighting everyday- but even just reaching out and learning that you aren't alone really does help a bunch. It can be scary talking about these things, especially when you experience anxiety but I assure anyone who suffers, it'll be one of the best things you do! I liked this post, this is very helpful for people who doesn't know what to do when see people suffering for this. 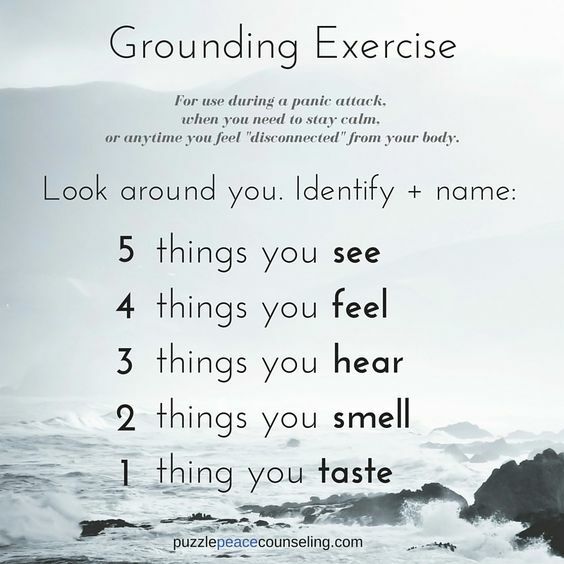 hi, you got my atention with just the title, I think this is very helpful, in my case knowing the science behind anxiety/panick attacks helps me a lot, in my case when I'm having one I forget every tip I've ever learned, I just black out but what always helps me is when I force myself, or someone make me, think about that grounding exercise you shared, a friend of mine made me do it because we were talking and I had an attack and she was in a different country but she wanted to help and sit worked, since that day I always try to practice those when in need. once again, I'm so glad you decided to write this blog, I'm really enjoying it, your way of speaking, of sharing stuff is lovely,it makes me smile even when we're talking about heavy stuff like this. I can wait for next week's post. thank you so mush, ashley! i have to take the bus tomorrow, and i'm taking a different route, which gives me loads of anxiety, and usual panic attacks (ironically i'm going to a panic! at the disco concert, and that's the reason why i'm even going on a bus tomorrow). i hope these help me get through my panic attacks! Thank you so much for writing this! It's comforting to know that more people deal with this, though at the same time I am sad that so many of us have to experience this, because anxiety is truly horrible. I have a mental illness that involves anxiety and panic attacks, but through therapy I've been able to get a lot better. I used to have many panic attacks and now they only happen occasionally. It also helps that I know what they are now. 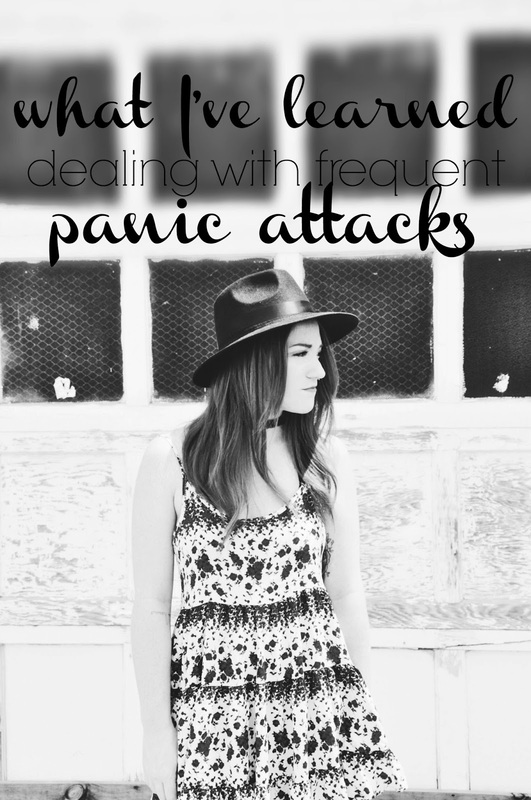 I used to firmly believe that I was dying, now I know it's 'just' a panic attack. It's still horrible, but at least I know it'll pass. In the moment of panic, I am not always able to think this clearly, so I might still believe I'm dying, but it passes eventually. What has helped me a lot is writing poetry. It is so calming to be able to clear your mind and to put your thoughts into order. I recommend it to everybody who suffers from any kind of anxiety. This was so important. Thank you for posting this. It really does make you feel so much better just knowing you aren't alone and that it is normal. Thank you, you precious human being. Ohhhhh yes. It Is Well is my go to when I'm experiencing a lot of anxiety. Thank you so much for this. I've had anxiety for most of my life and it can be so difficult at times. It's great to hear advice from other people and understand there are different ways of calming the mind. Also, thank you for mentioning the song "It Is Well". I just listened to it and it made me cry because it was so good. I love the advise that you give on your blog! I was having a tough time getting along with my parents, and I usually end up having panic attacks when I get in an argument with them. Last night when this happened I used the countdown, and I also listened to "It is Well", which helped tremendously. Thanks so much for the kind and encouraging words you have to say! I love the blog so far! which occurs because blood flow goes from the head to more critical parts of the body in response to the attack. The most common symptoms of a anxiety or panic attacks include the following symptoms. nd they're not vocal. I can't hear them as if they are talking to me. They are me. It just is what it is what it is. This is reality, not something from which you could run, You can't detach it, or stop it. Because if you stopped it, you would stop life. This is life. Man, I think one of the most helpful things for my anxiety was finally being able to know it was anxiety. Understanding what was happening (and what WASN'T happening) and being able to kind of talk myself through it a little more logically was huge.